May will be a big month for Wynwood – property owners will be voting to form a Business Improvement District, which will help to raise money that will be used for neighborhood priorities. One such priority is security. The initiative has recently been unanimously approved by Miami City Commissioners and is being driven by a group of influential business and property owners in the form of a Steering Committee. The Committee is comprised of over 60 members. The initiative is now in the hands of commercial property owners in the area between 1-95 and N. Miami Ave, north of the downtown area. A majority of 50.1% in favor is needed to make the improvement plans a reality. “Our Business Improvement District (BID) will give Wynwood a single voice speaking for the commercial area,” said David Collins, the director of the Wynwood BID project. “With one voice, we will be much more powerful advocates to demand better and expanded City services.” Property owners will be investing money in needs such as better sanitation and enhanced street lighting, as part of the BID plan. Property owners will cast a vote for each commercial folio they own. 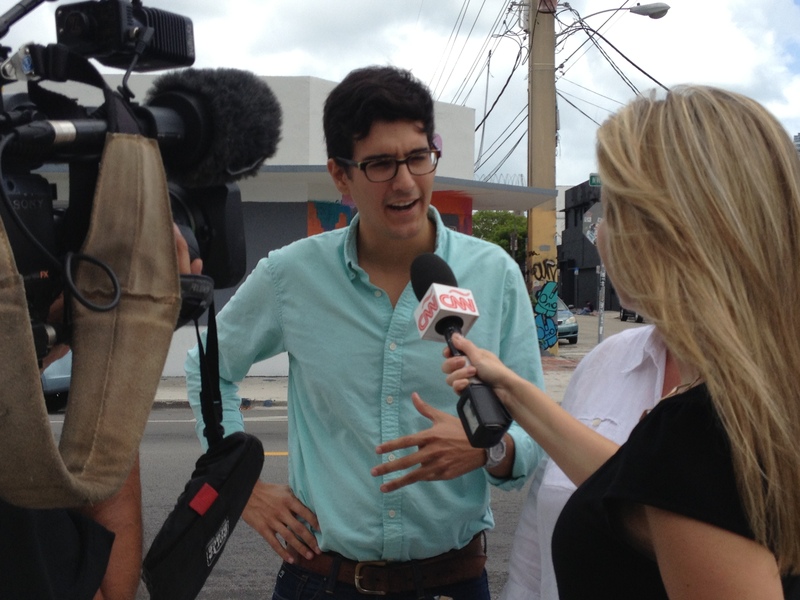 There will be a June 4 in-person poll election scheduled to be held at the Wynwood Walls, after the four week mail-in ballot period in May. “Business improvement districts happen to revive commerce in urban areas,” said Collins, “It allows them to self-invest as commercial communities.” Project advocates see the BID plan as the next step towards a Wynwood transformation from a past as an industrial warehouse district to a future as a vibrant pedestrian-friendly cultural destination. “I think we’re definitely on the right track,” said Collins. Story by Aisha Moktadier. Photo by Martha Cooper.